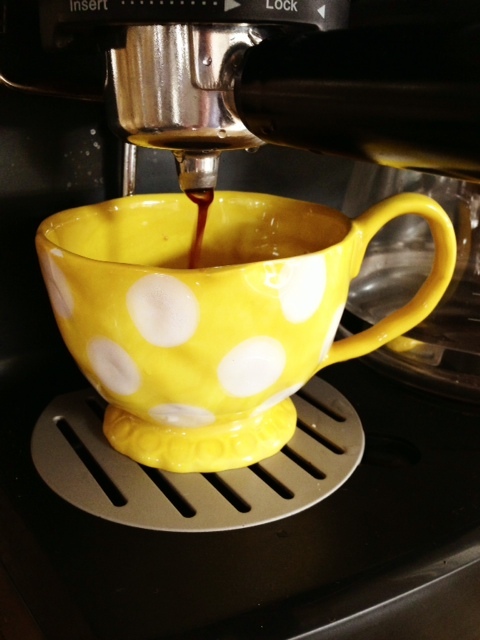 today i was out shopping for another blog project and of course i ended up buying this very happy coffee cup! 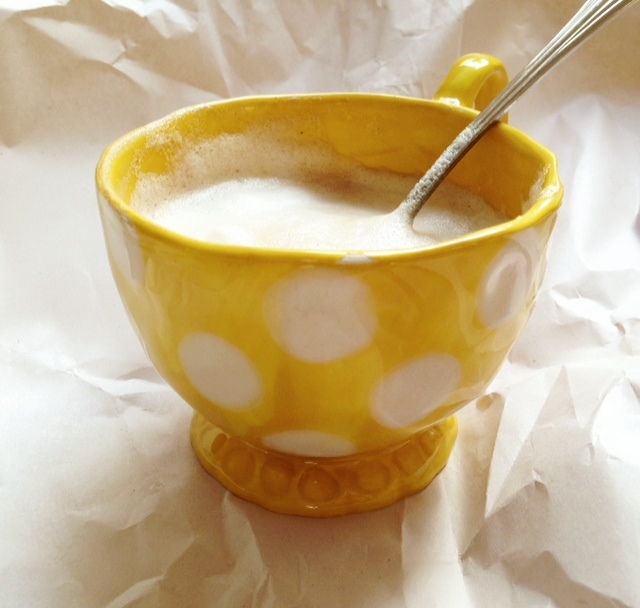 anthropologie has soooo many cute things and they sell these cups in so many fun colors. well… anyway, i have always wanted to share how much i love my Nespresso coffee frother. this appliance is a must have if you are into the mixed coffee drinks or cocoa. 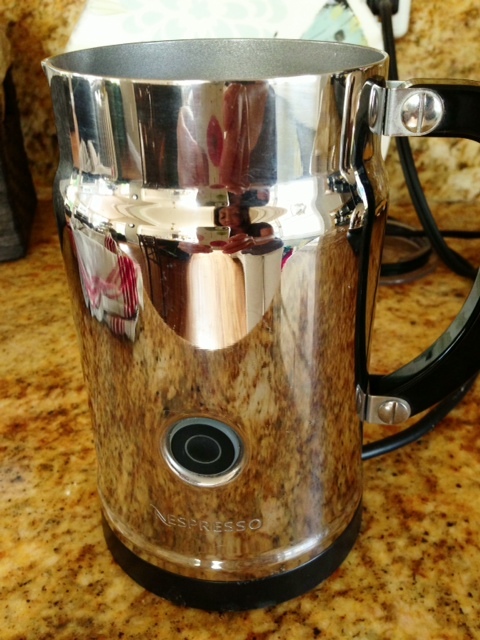 i have found it on amazon: nespresso aeroccino plus this makes soy or low fat milk thick and yummy for coffee drinks. you have the ability to froth it cold or hot. it only takes a couple of seconds and it is very quiet. i just have a very simple espresso maker. i haven’t gotten on board with those fancy espresso makers. when we were in france most of the houses we stayed at had the Nespresso makers with the cartridges. here is the frother! just add soy or low/non fat milk. 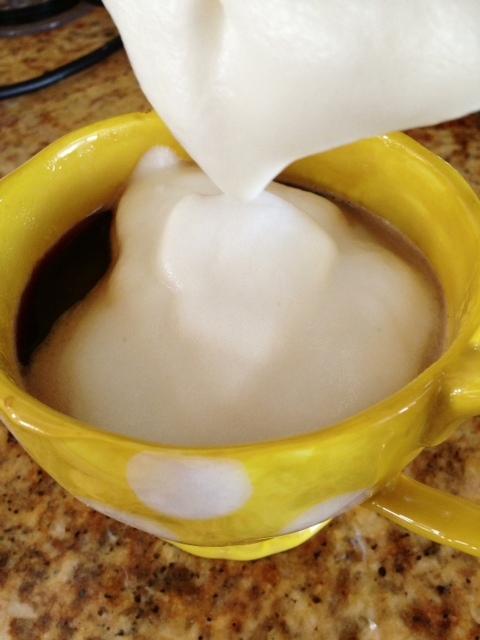 so, here is the thing…the more fat the liquid has… the less frothy it will get. i finally asked a worker at sur la table. i use soy and it comes out beautiful! as my father would say, “just like downtown”!!! thanks for visiting and have a wonderful day!